We've just about made it through January. What a month! Snow. Ice. Crazy Cold. This might be one of the worst winters yet. Especially if you're in Atlanta. The stories coming out of there are intense. Well some happiness returns, because Feburary 5th is next Wednesday! What is that you say? 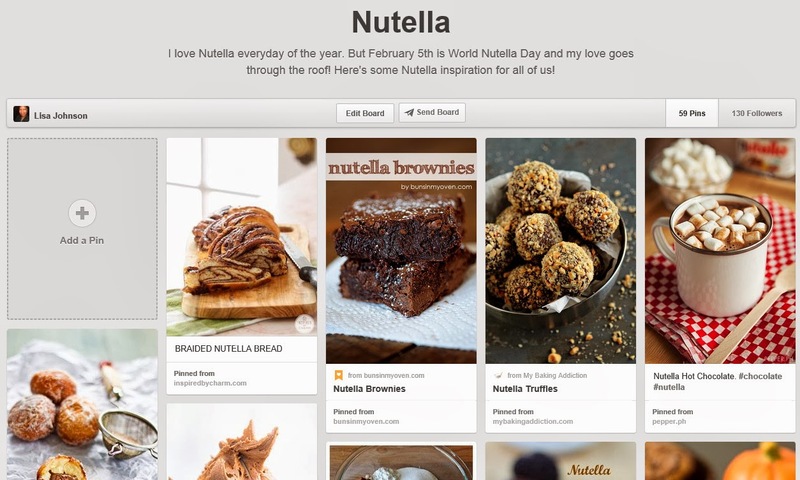 If you're looking for some recipe inspiration, my Nutella Pinterest Board is a good place to start. Also, check out the Nutella recipes on this blog.